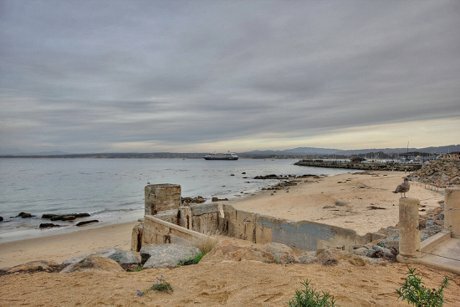 Search all Monterey Bay View Real Estate including Monterey Bay View homes and condos for sale throughout Monterey on one easy to use website. This page shows the latest Bay View Real Estate for sale in Monterey, CA 93940. Whether it is a $350,000 Monterey Bay View condo at Ocean House or Harbor house in Monterey's Del Monte Beach neighborhood, a $1,000,000 Skyline Forest home with Monterey Bay View, or a multi-million-dollar luxury Bay View estate home in Bay Ridge or Monterra Ranch, this web page will have the newest selection of Bay View real estate in Monterey for you to review. Located at the southern end of the Monterey Bay, the city of Monterey has some exceptional views of the bay. Monterey real estate has some of the most spectacular views of the Monterey Peninsula with the twinkling lights of the cities and the magnificent sunsets of the Pacific Ocean. So who wouldn't want to own real estate with a Bay View from their Monterey home. The bay views from real estate in Monterey range from long stretches of white sand along Del Monte Beach with dramatic waves crashing along the shoreline to the distant beautiful blue waters views all the way to Santa Cruz. This is a great webpage to see if there is a piece of Monterey Bay View real estate within your budget. If you are looking for MOnterey real estate for sale with incredible Bay Views, you can start your search below. The 5 latest listings of Bay View real estate in Monterey are below. For a full list of Bay View homes that are available in this sought after city, you can build an advanced search or contact us and we can do it for you.